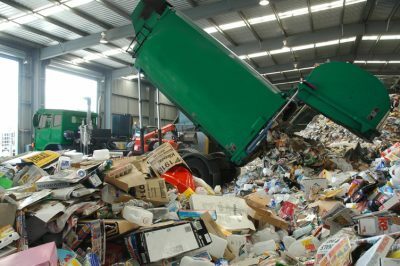 The green conscience received a setback last week with revelations that the Australian recycling industry is not what it seems. The middle class sensibility here is simple and dismissive: bin it and forget about it. Place the sorted items in the appropriate set place and let others do the rest. Where Australia lacks punch is the recycling of electronic waste, limping and lagging behind European states. In terms of battery recycling, for many years mandatory in Europe, the program remains in tight swaddling clothes. The sense, then, of the conscientious recycler, is a strong one, alert and aware about doing one’s duty in environmental conservation, or, at the very least, avoiding environmental ruination. But the challenges as to how effective such behaviour has been are pronounced and problematic. Some of this can be gathered from an ABC program which has made it an ongoing project to wage a “War on Waste” fronted by satirist and mocker-in-chief Craig Reucassel. While it has an instructional, even at points hectoring tone, the production makes valid points that burst the euphoric bubble of the recycling clan. For one thing, the proportion of what is appropriately placed in bins for kerbside collections needs challenging. Audits suggest that upwards of 10 percent of material placed for recycling – in terms of volume – should find another destination. The first item on this ticket list – plastic – is particularly noxious, finding its way into the reject pile that is duly buried in a long, slow-decaying exile in landfill. And, suggests Thornton in a myth-debunking tone, there is little need rinsing and cleaning the assortment of cans and containers for the recyclers, as “today’s recycling systems can easily cope with the levels of food often found in or on these containers.” Such industriousness wasted! Then come specific items that may only be partially recyclable, with the grandest culprit being the ubiquitous takeaway coffee cup. Here, the messages vary. Place them in co-mingled and mixed paper bins, and all is dandy. Not so, claim the War on Waste fraternity, which notes that only part of the cup would qualify. Even more deflating was the report by the investigative Four Corners outfit that was aired in its usual Monday segment to Australian audiences thinking that they had gotten on top of the issue of what to do with glass. There’s a snag in all of this. Hundreds of thousands of tonnes of glass, rather than finding their way to the appropriate recycling points, reach stockpiles and disappear in landfill. One particular fallen angel in the business, recycling company Polytrade, decided to go public with the view that the recycling market in Australia had run its course of sustainability. The reason for being plunged into such darkness was one of quantity and viability, a product that had gotten ahead of itself. The stresses are manifold. Recycling companies are feeling the pinch of falls in commodity prices. Flexibility with local councils is nigh impossible, with long-term contracts between the companies and local government lasting for as long as 10 years. Stockpiling limits are enforced by the Environmental Protection Agencies across the country, though this, according to the Four Corners report, is a premise that must be challenged. Certainly, when it came to New South Wales, companies engaged in the task of recycling were being somewhat flexible in their reading of the regulations, behaviour inspired by a good degree of desperation. In rural and regional Australia, landfilling has become de rigueur. A dark story, then. Behind every environmental claim to fame and cocky advance in greening the earth is a qualification, a half-step back that risks, at times, becoming a reverse canter. Well it may be that Australians are generally more aware of the need to recycle, placing their green consciousness into hyperdrive. But this is a country of vastness, insufficient regulation and scattered responses across such industries vulnerable to price changes. It remains to the participants to assure those still keen to sort out their weekly waste whether it’s all worth it. Featured image is from zerowaste.sa.gov.au.